60% of people learn more by finding things out for themselves than from formal courses. Only 47% of learners find elearning courses essential or very useful. Not great customer feedback for the elearning industry. So what’s to be done about it? Nick Shackleton-Jones goes a great job here of explaining what needs to be different in elearning. If you ask most people to find the answer to a question, like how to do I fix a broken pipe, how do I coach someone effectively, most people will go to Google or YouTube long before they’ll go to an elearning course. We use the web to search for the most relevant information. A lot of the time, the need isn’t (just) for a linear course. It’s for a set of resources that are easily found and helpful at the point of need. You can create the world’s best course on Blockchain and Bitcoin, but as soon as you’ve written it, it’s becoming obsolete. The rate of change and new information in these domains means we need to supplement courses with content that stays up to date. We all need to be continuous learners to stay on top of information. But courses have a full stop. Does that mean the death of the course? Absolutely not. We still need structured learning experiences. We need to take people from A to B in terms of their knowledge. A well structured and clearly designed experience (in any format, not just elearning) is still the most effective way of doing that. The challenge and opportunity is to combine the structure of a course with the need to help people to continuously learn from the most recent and relevant content. So we have to take them beyond B to C: Curated, Continuous Content. It’s about looking at external content and bringing it into your learning. Create a curated reading list of articles for your topic. Include in your elearning course. Pro: You can hand select relevant articles and ensure they’re specific. Con: it’s time consuming. You have to find the articles, and keep the list up to date by constantly maintaining the elearning. Pro: Less maintenance required, links less likely to break. Con: It’s not very focused. You’re asking learners to do the filtering to find the relevant content. They don’t have time, most won’t go there. Pro: If you use a curation tool (like ours), you can easily surface content on a particular topic, filter it by sources and then embed it directly into your elearning modules. It’ll update automatically for you, so you help to keep your learners up to date with less effort. Con: You’ll need to integrate it with your authoring tool or environment, which can requires a little technical effort. Fortunately we’ve been working with Elucidat, one of the leading digital learning tools providers to do just this. More on this below. 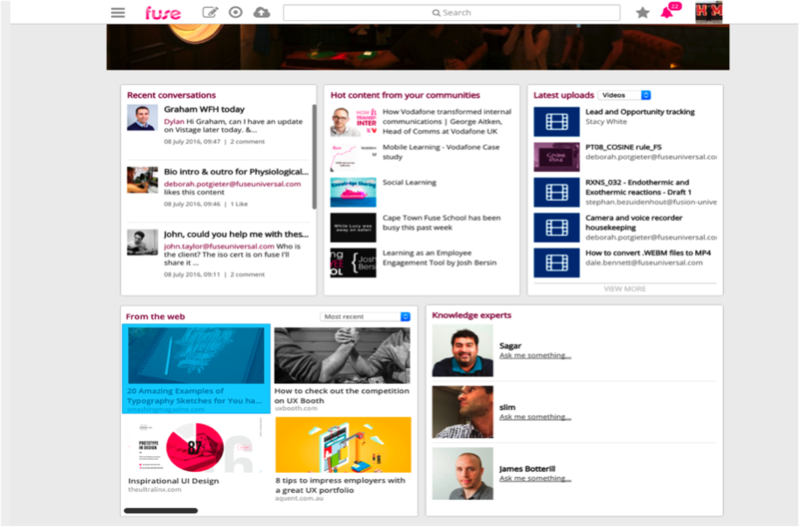 If you’re supporting an audience or group within your organisation, it make make sense to embed a feed of curated, relevant content at the LMS or Learning Platform level, so it runs alongside your courses and other learning offerings. Pro: This can help to bring your LMS to life by making it a home for recent external content. Con: Some integration effort can be required if you’re using a curation tool, but an API and plugins can make this easier. You could use curated content to push regular updates to learners. These could be in the form of internal mails, newsletters, or distributed through social channels like Slack or Yammer. Whatever methods you use, think about the role of external content in helping to keep your learning alive. 3 million blog posts are published every day. If you’re a Learning Professional, you need to be thinking about how to bring the most relevant ones to your learners’ attention to help them stay up to date. That means adding content curation to your skillset, and thinking about how it plays with your toolset. 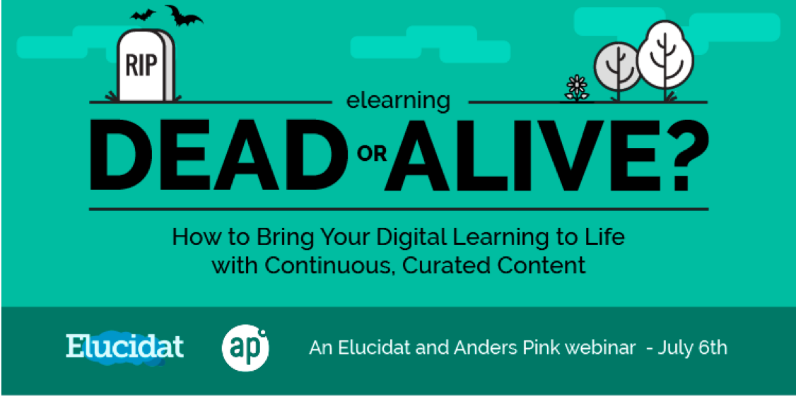 Curated Content inside your Elearning – See How to Do it in our Webinar! Join us to breathe life back into your digital learning..